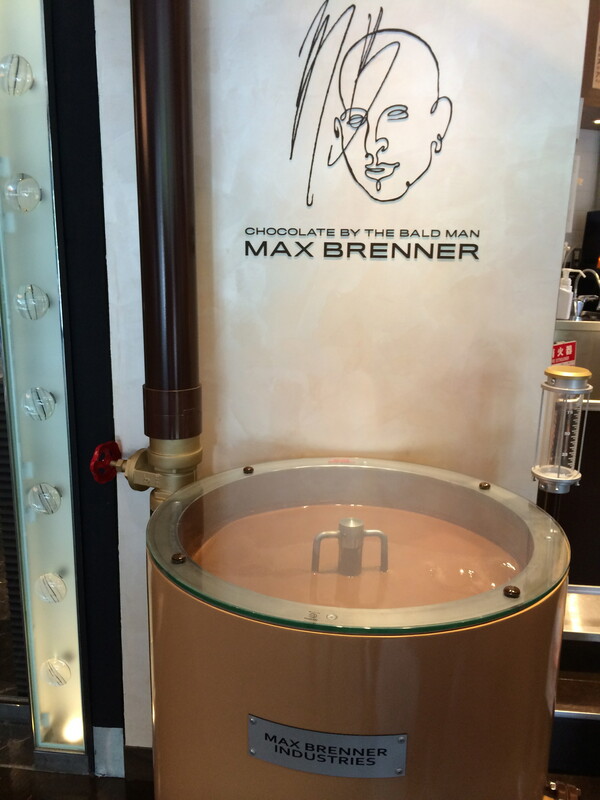 The famous chocolate bar from Israel, Max Brenner, came to Japan, and became very popular! It opens at 11am, and I started to stand in a line at 10:30. It was 12:00ish when I entered the shop. One and a half hour waiting. Not bad. The interior decoration and tableware were very cute! I ordered Chocolate Pizza, Chocolate Fondue and drink.